While searching our database for ‘But I heard him exclaim ___ he drove out of sight …’ Find out the answers and solutions for the famous crossword by New York Times. We are not affiliated with New York Times. We post the answers for the crosswords to help other people if they get stuck when solving their daily crossword. Already solved this ‘But I heard him exclaim ___ he drove out of sight …’ crossword clue? 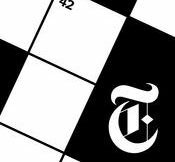 Go back and see the other clues for New York Times Crossword Answers February 05 2018.